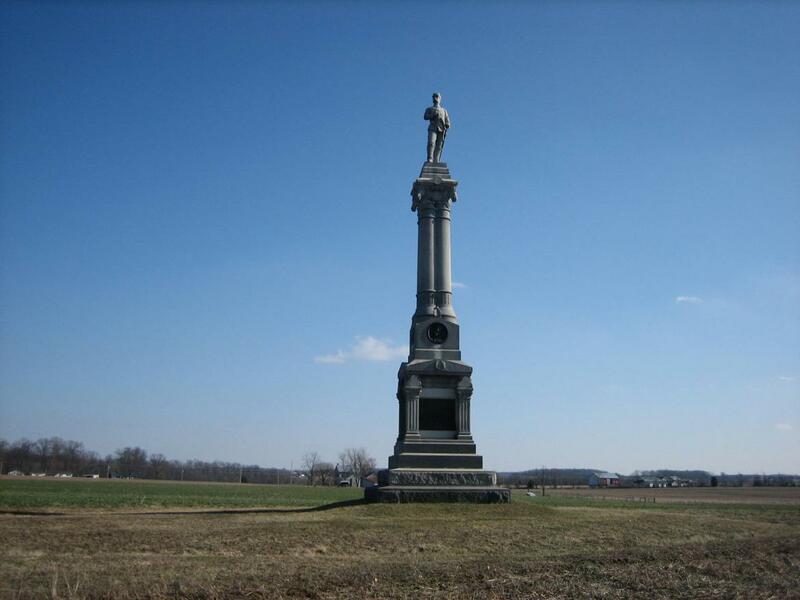 The Michigan Cavalry Monument at East Cavalry Field. This monument was dedicated in 1889. This view is from the southwest facing northeast at approximately 4:30 PM on Wednesday, March 12, 2008. The Gettysburg Daily visited the Michigan Cavalry Monument on a windy, Wednesday afternoon. 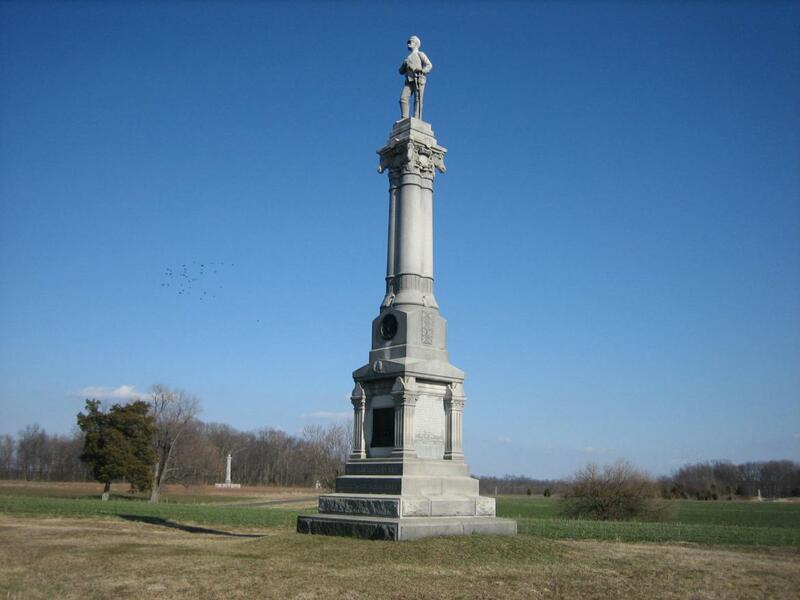 It is officially known as the 1st, 5th, 6th, and 7th Michigan Cavalry Monument. 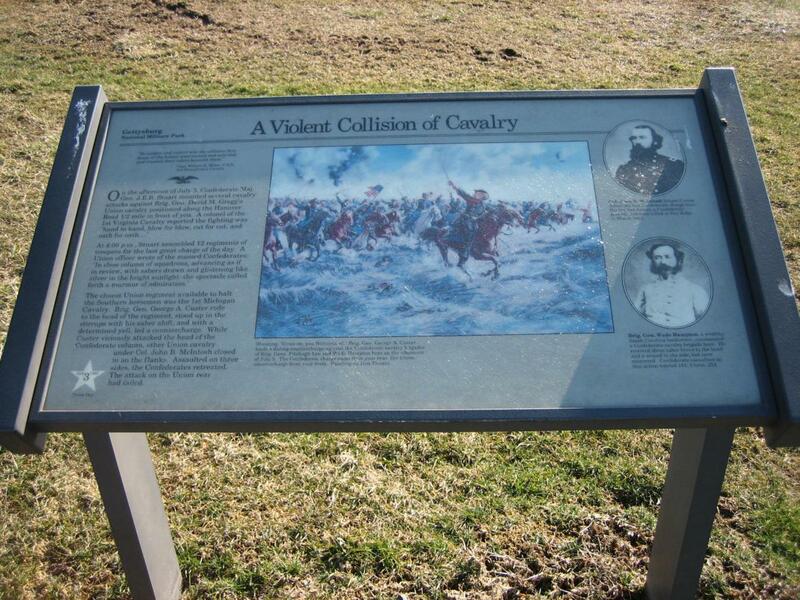 The brigade’s commander, George Armstrong Custer, began to build his military reputation at this location. Custer’s Michigan brigade charged across this field from southwest to northeast. The Lott barn is in the right distance. The Cavalry Monument is to the left of the barn, and the Michigan Cavalry monument is to the left of the Cavalry Monument in the center distance. View from the southwest facing northeast. Approximately 4:30 PM on Wednesday, March 12, 2008. The wayside at the intersection of Custer Avenue and Gregg Avenue. Custer is depicted leading the 1st Michigan as he shouts, “Come on you Wolverines!” View from the north looking south at approximately 4:30 PM on Wednesday, March 12, 2008. At this location, Custer’s Brigade met Confederate troops under Brigadier-General Wade Hampton who charged from Cress’ Woods (seen in the distance) toward the monument and camera position. View is from the southwest to northeast at approximately 4:30 PM on Wednesday, March 12, 2008. 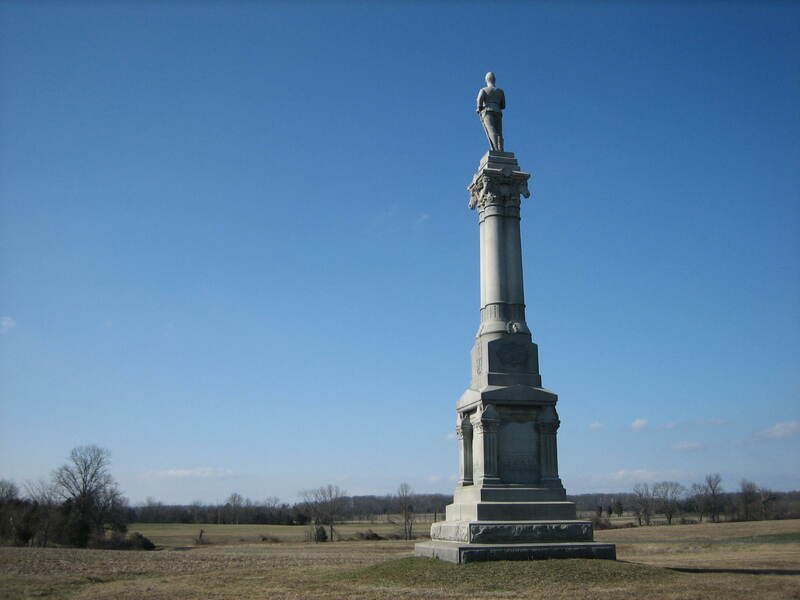 The “front” or northeast side of the Michigan Brigade Monument. View from the northeast facing southwest at approximately 4:30 PM on Wednesday, March 12, 2008. 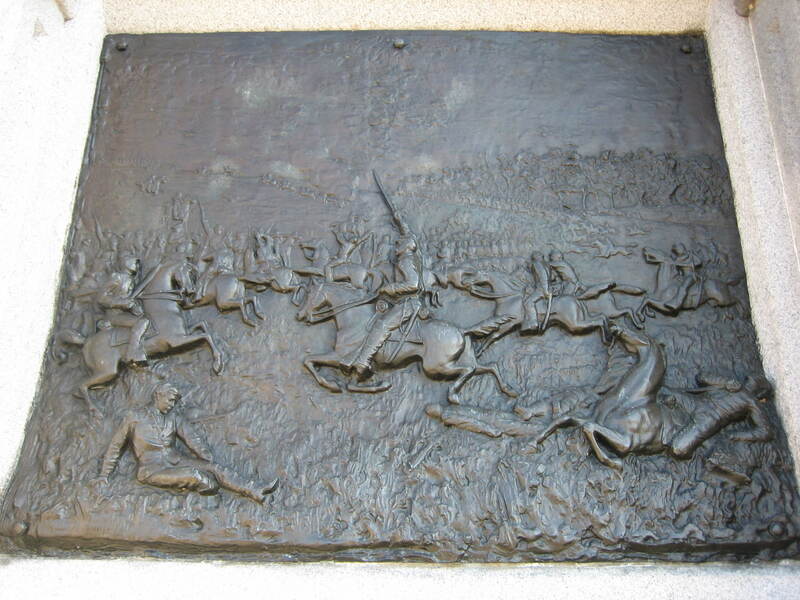 Closeup of the bottom bronze work of the northeast side of the Michigan Cavalry Monument. This view is from the northeast facing southwest at approximately 4:30 PM on Wednesday, March 12, 2008. 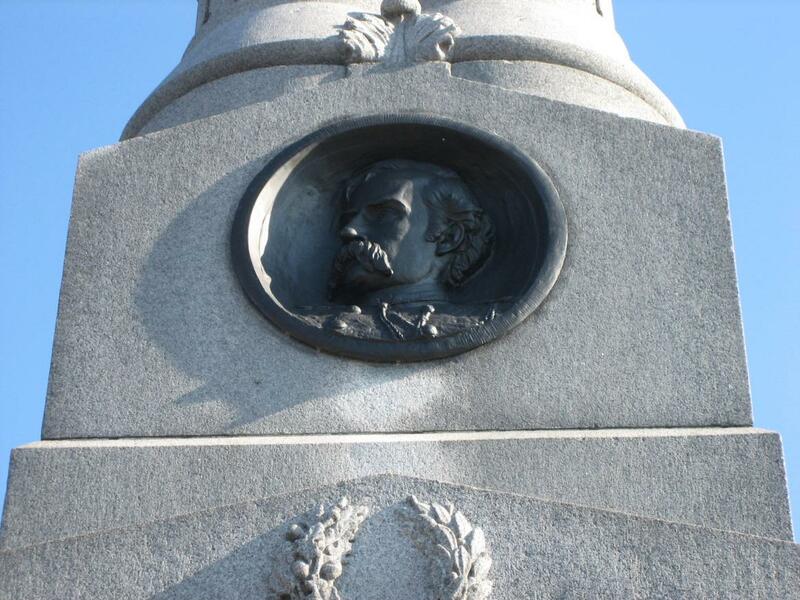 Bronze profile of George Armstrong Custer at the top of the northeast side of the Michigan Cavalry Monument. 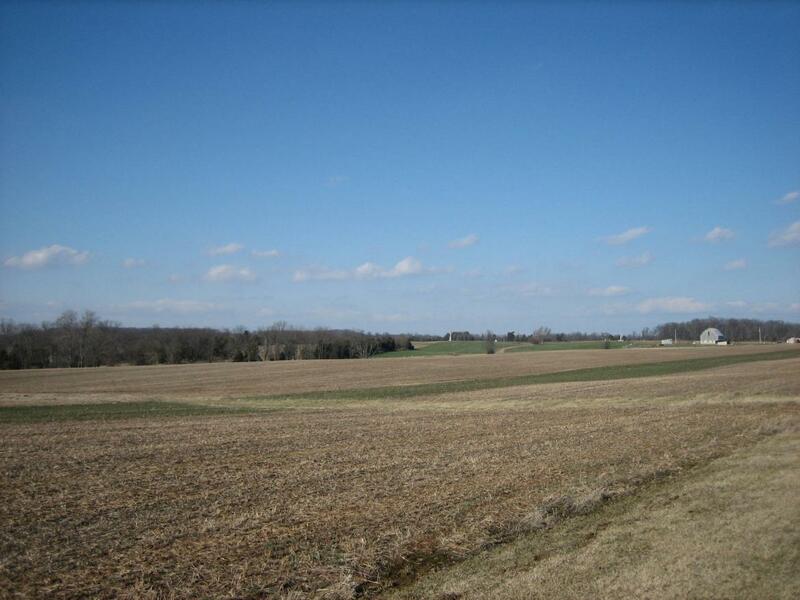 This view is from the northeast facing southwest at approximately 4:30 PM on Wednesday, March 12, 2008.